The most important part of our body is our brain. They say we only use 10 percent of our brain and if we maximize our brain energy and potential, the wonders can be unbelievable. Bottomline: We must protect our brain. The skull is hard enough to protect our precious wrinkled powerhouse, but when doing sports, we must be extra cautious, so we invented the head gear/ helmet. The helmet has seen its better days and the research and development for it still continues up to now. There are a lot to consider, protection, weight, materials, design, color, straps and a lot more. One cannot say that one helmet is perfect for everything. There are numerous head gears for different types of activities. 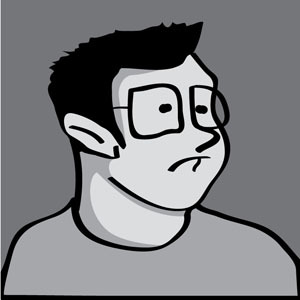 This site, being VALLEYBIKES, shall talk about a bike helmet. The helmet is light yet it gives your head the feeling of safety because it covers most of the important areas of the head. In the forehead, the brim of the helmet reaches until the top of the eyebrow, which gives coverage to most of the top part of your face. At the back of the head, it has an adjustment which snugs the fit to your skull giving you the assurance that it is hugging your head if ever you crash. Eventhough it covers a big part of your head, it is still light enough due to the aerodynamic design and ventilation of the DART helmet. The red straps give you the awesome look of a true trials master. 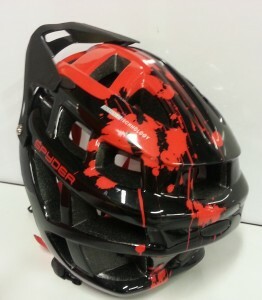 These are the kind of lids that Trials riders wear. Instead of wearing the fully covered mullet style of skate helmet, these Trials helmet give more ventilation. The back part of the helmet is adjustable so the helmet is sunk into your skull giving it a snug fit. But I already said that. Five clicks for being adjustable!!! There is a sun visor in front which can double as boomerang, in case you wanna play catch with your dog. Otherwise, it is a good wind spoiler and sun’s rays blocker. 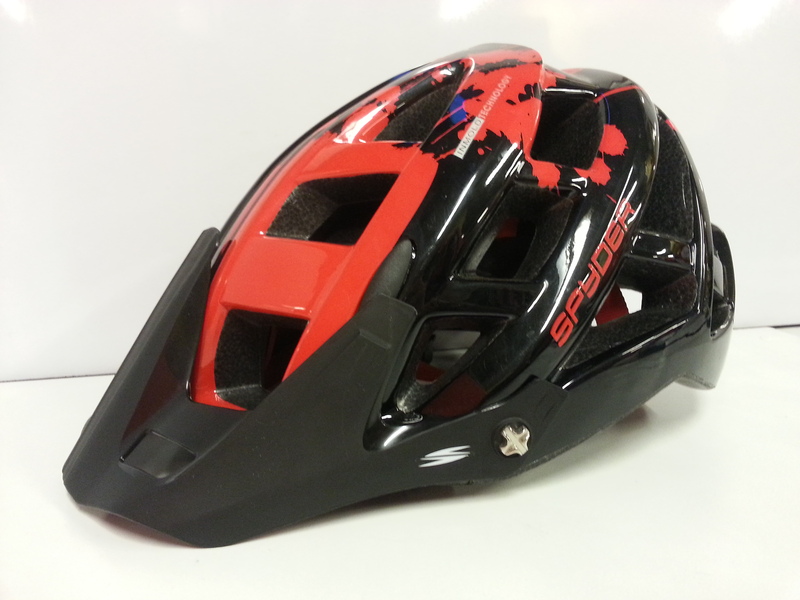 Over-all, this is one light and dependable helmet for cycling purposes. You wanna look cool and new age? 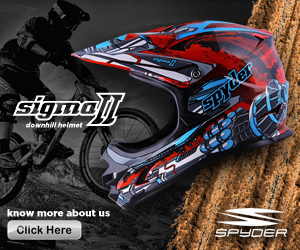 The Spyder Dart is the helmet for you. With its affordable price, it is the best buy for bikers (even if you don’t do trials) who want a bang-for-the-buck helmet.